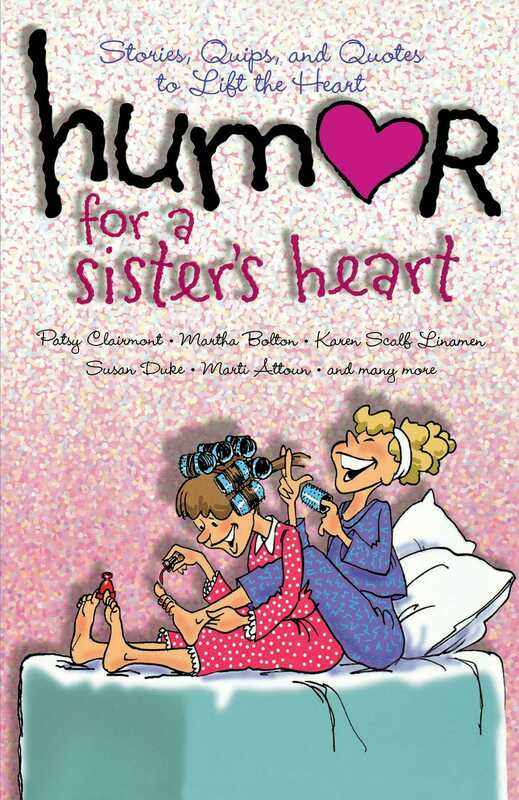 When it comes to sisters, there's plenty to laugh about -- and this joyful book is filled with humorous stories about the special relationship that sisters share. Sisters share secrets, sorrows, success, and sometimes silliness. It's this sense of sharing that brings sisters so close -- and in that closeness, there are all kinds of reasons to laugh. You'll giggle and grin as you read stories from some of your favorite authors and comedians -- like Patsy Clairmont, Martha Bolton, Karen Scalf Linamen -- and new friends you'll delight in getting to know. Whether sisters by family, faith, or friendship, you'll find yourself -- and your sister -- reflected in stories of childhood antics, shopping trips, midnight heart-to-heart talks, and the many shared "oops!" of life. Whether for yourself or your sister, this cheerful infusion of humor will bring joy to a day that's dreary and giggles to one that's already glorious.